This Gothic Revival chapel in Los Angeles first opened in 1900. The building is no longer in use as it is in need of repair and renovation. 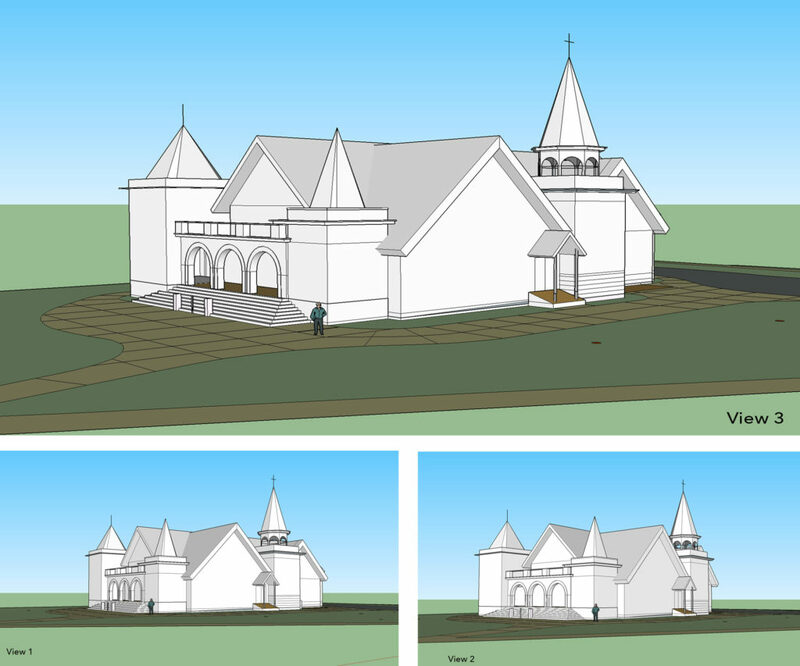 An effort to bring new life to this charming place of worship and renew it to its original condition, including the original color scheme, is under way. To communicate the project goals I was asked to produce a period specific watercolor rendering. I had done a personal painting of the building, which had been shown to the principals in charge. This led to my being selected to produce this traditional watercolor rendering for fundraising. I believe that preserving older architecture is important as it keeps the personality of the city alive, so I was thrilled to get the opportunity. 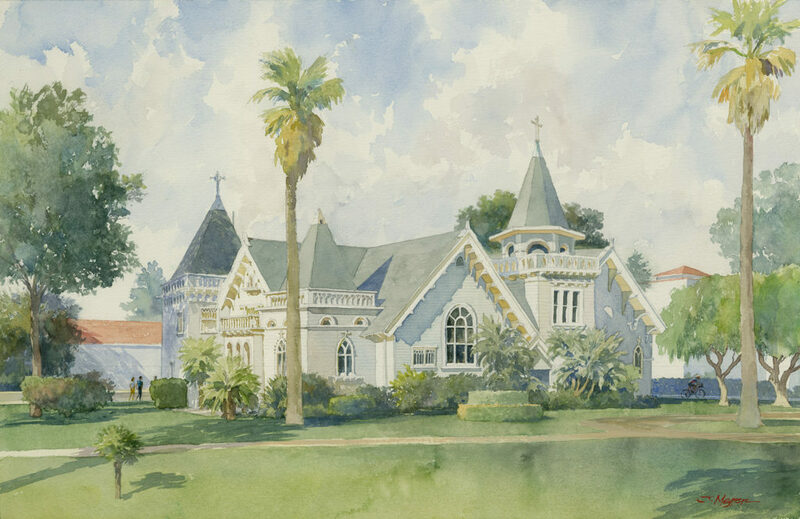 My personal painting of the chapel as it looks today. Renderers are artists, and I often do observational paintings, both En Plein-Air and in the studio. This is painted in a looser, more interpretive style than a traditional rendering. I started the project by creating a building massing model so that the client, architects, and engineers could select the desired view angle. 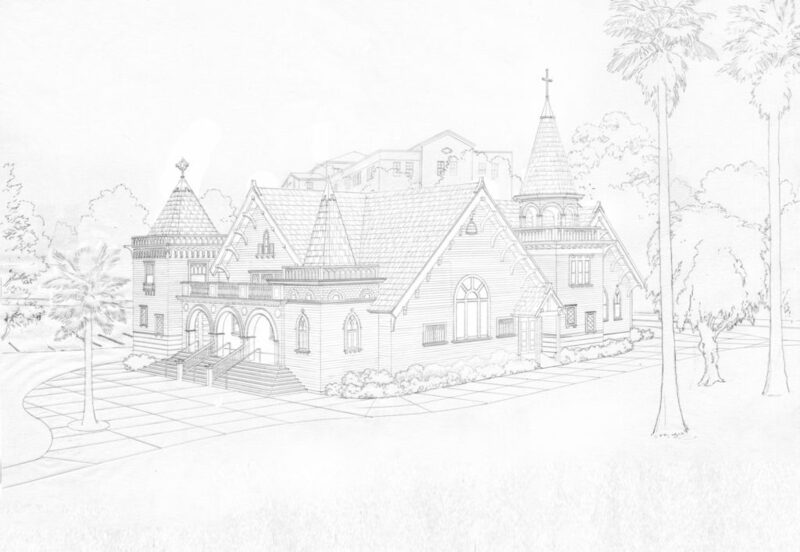 The hand-produced drawing below includes all of the building details, landscaping, and background buildings. This drawing was then painted in watercolor in a turn-of-the-century style.